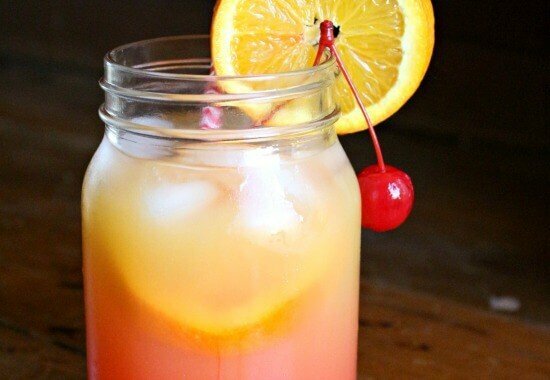 The Alabama Slammer Cocktail is a sweet, fruity drink that’s made with Southern Comfort. Although no one really knows who invented it legend says that it was invented at the University of Alabama in the mid-1970s…and who am I to argue? 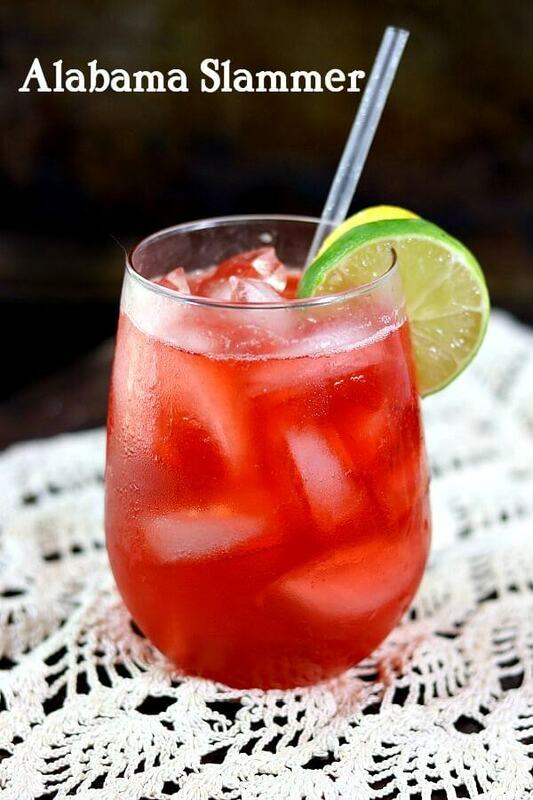 With it’s bright red color it’s supposedly the signature drink of Crimson Tide – what I do know is that this gorgeous ruby drink is one of my favorites! In the mid-1970s I was 15 but there is a statute of limitations and so I think that whatever I say after this point is covered by layers of dust. At age 15 my main goal in life was to have a boyfriend and be part of the cool crowd. It was relatively easy to accomplish the first but the second goal eluded me until I didn’t really care anymore. In fact, it is interesting to note that I became infinitely more popular amongst my high school peers after I published my first book and established myself as a food writer. For my 16th birthday my best friend came to pick me up to take me out. My mother LOVED him and was totally sure I was completely safe in his hands. Excuse me while I laugh hysterically. So he came to pick me up on a warm April evening in 1976 and I was ready in my Brittania jeans, wedge heels, and tube top _ Texas big hair, super shiny kissing gloss, and kohl rimmed eyes – I was the epitome of 1970s style. In the car he triumphantly lifted up two bottles of cherry vodka and two bottles of Sprite. All I can tell you about that night is that throwing up cherry vodka and Sprite is awful and I can’t stand the combination to this day. So what does this have to do with an Alabama Slammer Cocktail? Not much, but there are some similar flavors. 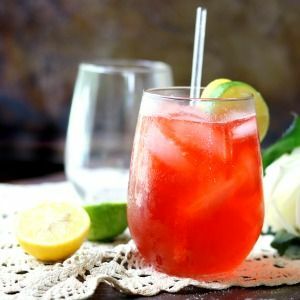 Southern Comfort has a fruity, almost cherry, flavor to it and when you mix it with the other ingredients magic happens. Plus it turns a bright crimson, which happens to be my favorite color. 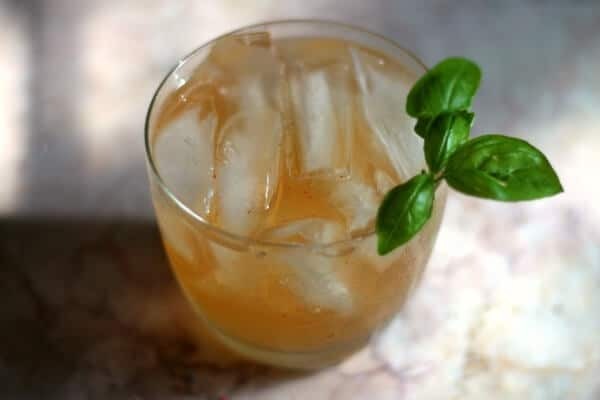 The Alabama Slammer Cocktail came back to life in the Tom Cruise film, Cocktail. I suspect a lot of cocktails came back to life in that movie! Like most things there are more than a couple of ways to make the iconic Alabama Slammer Cocktail. Sloe gin is a red liqueur made with gin and small fruit related to the plum called sloe drupes. It’s not available everywhere but luckily there are ways around that. There are always things that make creating recipes easier. This is a super easy recipe but one thing that makes it amazing is a good grenadine. Most of the grenadine you find in the store is not real grenadine – oh it’s red but it’s like cherry juice. Real grenadine is made with pomegranate and makes a huge difference! Love this? You may also love these great cocktail recipes! This easy recipe is perfect for summer sipping! You can adjust the servings by clicking on the number if you’d like to make it as a pitcher drink. If you love this recipe please give it 5 stars! 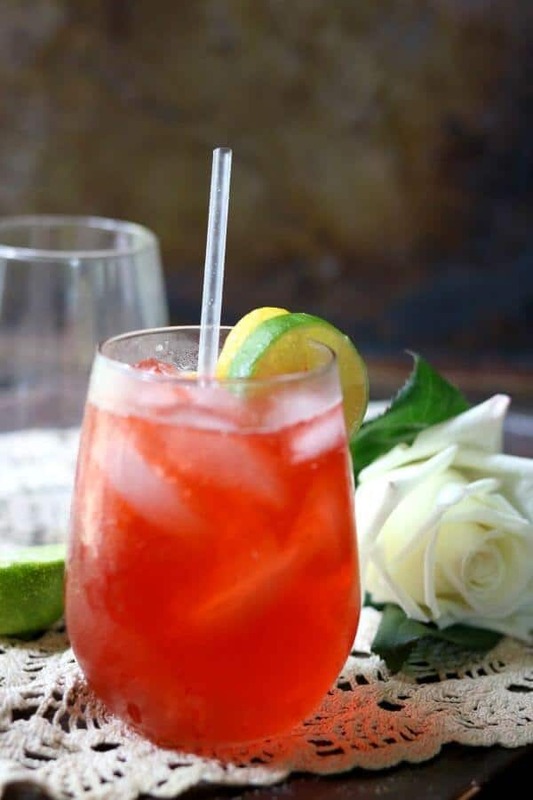 A sweet, fruity cocktail, the Alabama Slammer was made popular in the Tom Cruise movie, Cocktail. It’s refreshingly sweet for summer and a gorgeous color! Shake all ingredients with ice in a shaker. Garnish with an orange, lemon, or lime slice, or cherry… or any combination! Southern Doctor from Love Bakes Good Cakes. Made with Dr Pepper 10 it’s got all the flavor and none of the calories! 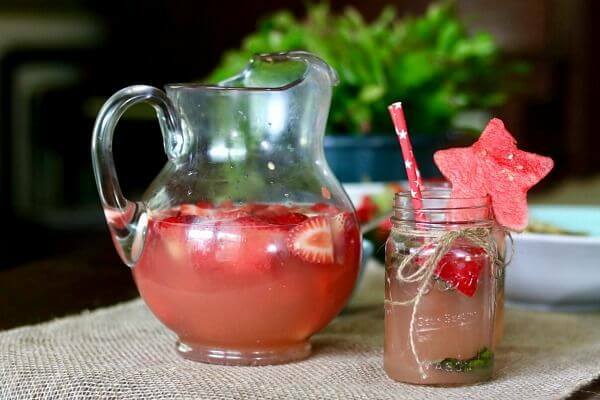 Tropical Strawberry Lemonade Party Punch from Averie Cooks is sweet and citrusy!